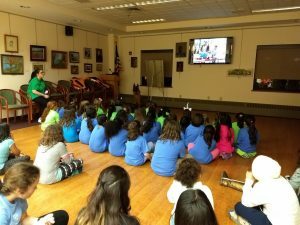 NJSAR provides free presentations to Scout troops, hiking clubs and other community groups. The presentations are an engaging and fun way to teach adults and children how to stay safe in the woods. New Jersey Search and Rescue never charges for any of its services, but we are a 501c3 organization staffed entirely by volunteers. All donations are greatly appreciated. To schedule a presentation, please Contact Us.